The Sea of Galilee from Tiberias. I can’t read the Hebrew words, the structure is pretty cool. When we arrived in Tiberias from Tel Aviv, there was honestly nothing much to there, apart from having a sumptuous lunch. Parking is readily available too. 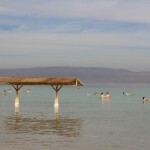 If you’re looking to understand how locals live, Tiberias is probably the place to be. That being said, the pace is pretty slow in this sleepy lakeside town. The Sea of Galilee from Tiberias – there isn’t much to see to be honest, though some of the scenery is quite nice. 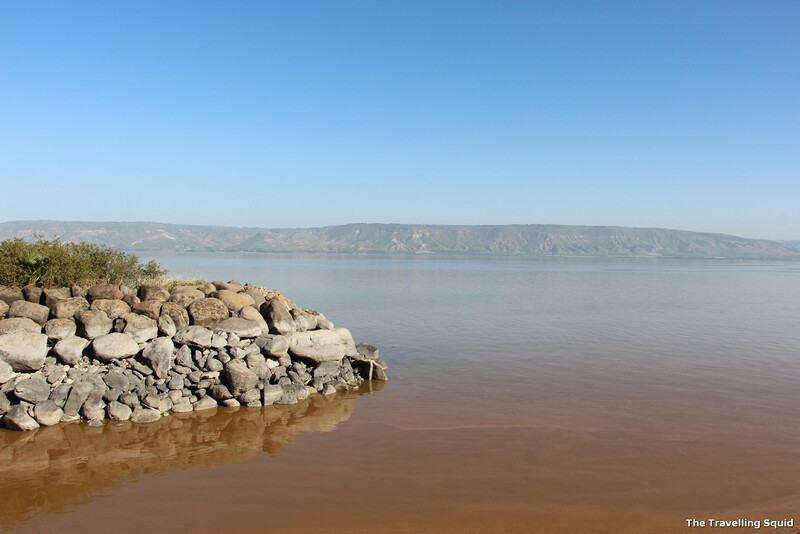 According to Wikipedia, the Sea of Galilee is the lowest freshwater lake on Earth, and the second lowest lake after the Dead Sea, which is a saltwater lake. The lake is fed partly by underground springs although its main source is the Jordan River which flows through it from north to south. It is approximately 53 km in circumference, about 21 km long, and 13 km wide. Its area is 166.7 km2 at its fullest, and its maximum depth is approximately 43 m. I thought this was deep, until I saw this Wikipedia post on the depth of various lakes. I’m proud to say that I’ve been to the deepest – Lake Baikal in Russia, and the 15th deepest, Lake Toba in Indonesia. 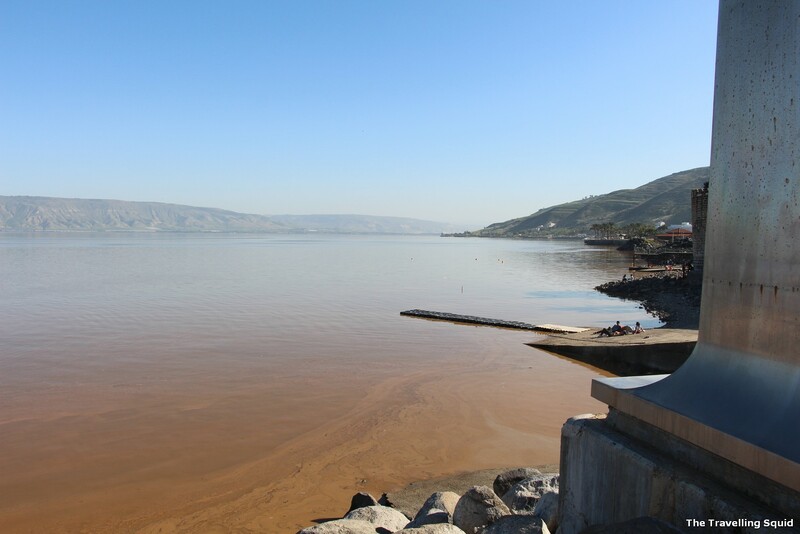 The Sea of Galilee – it was very calming and peaceful. 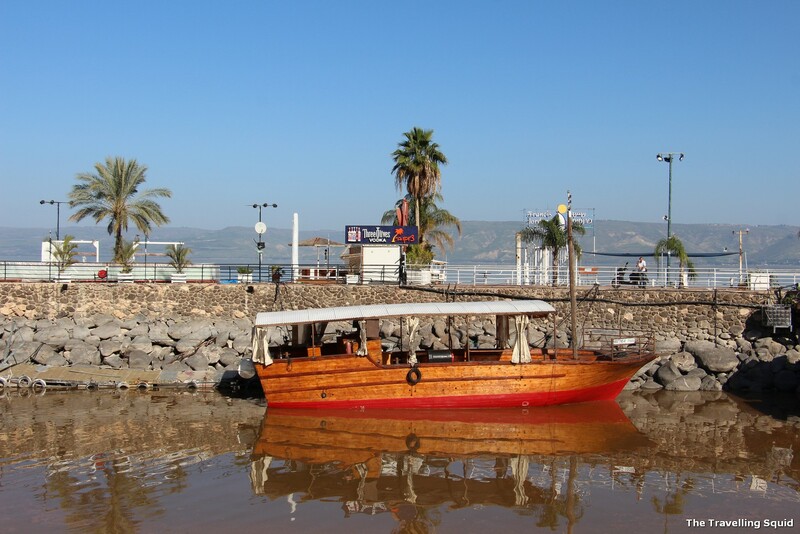 In Christianity, the Sea of Galilee was lake of great significance. 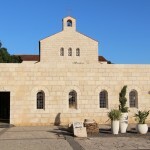 It was a place where Jesus performed miracles such as his walking on water, calming the storm and feeding of 5,000 with five loaves and two fish, according to the New Testament. 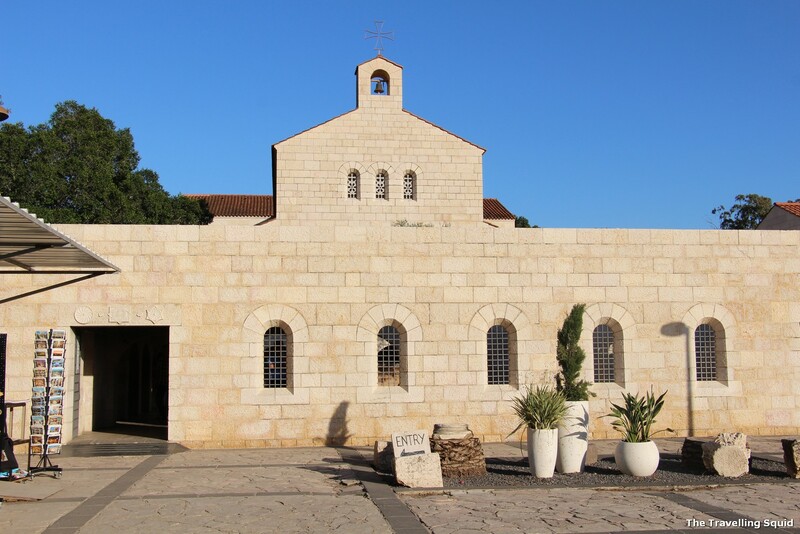 In April 2011, Israel unveiled a 64 km hiking trail in the Galilee for Christian pilgrims, called the “Jesus Trail“. It includes a network of footpaths, roads and bicycle paths linking sites central to the lives of Jesus and his disciples. 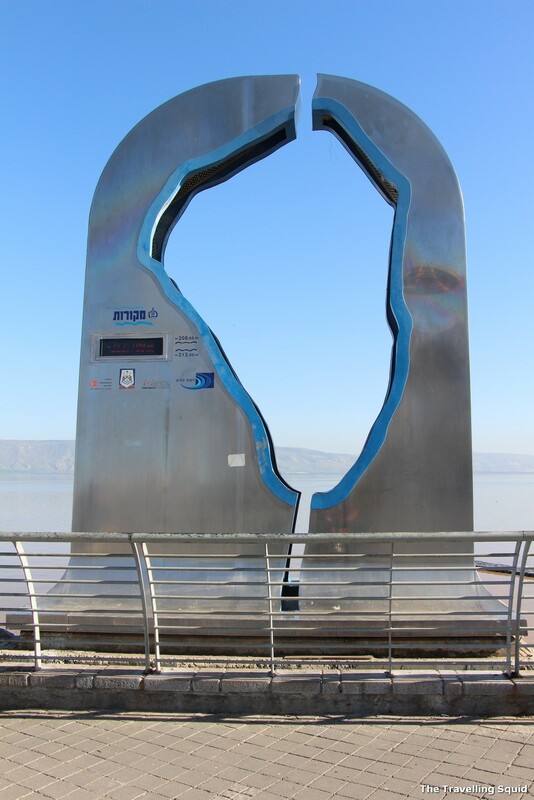 According to Wikipedia, the Sea of Galilee used to supply most of Israel’s drinking water in the past. 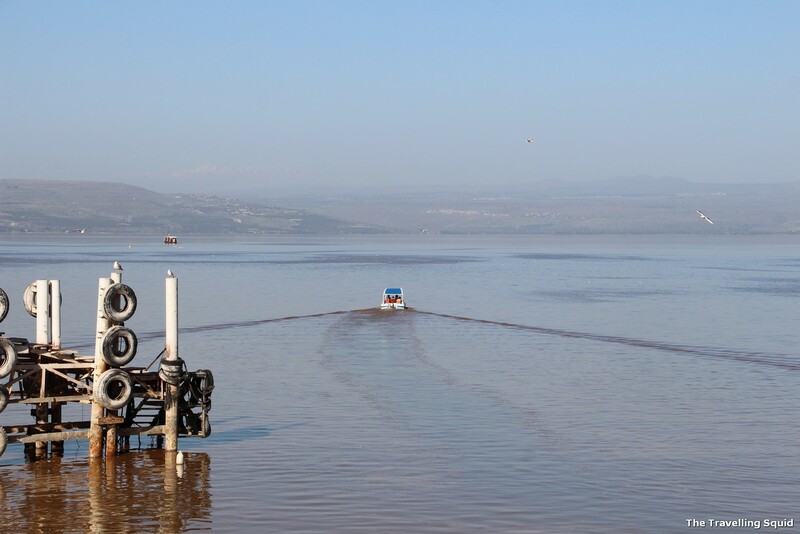 Today, the lake supplies approximately 10% of Israel’s drinking water needs. There’s some form of geopolitical tensions to this too. I never had the chance to see St Peter’s Wooden Boat, but I suppose this would suffice. 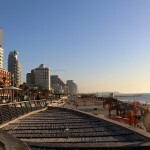 In recent years, the Israeli government has made extensive investments in water reclamation and desalination infrastructure in the country. This has allowed it to significantly reduce the amount of water pumped from the lake annually in an effort to restore and improve its ecological environment, as well as respond to extreme drought conditions. 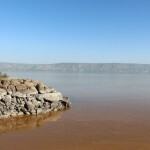 On a tour to the Dead Sea, a tour guide told us what had caused the coastline to recede was due to diversion of water from the Sea of Galilee. 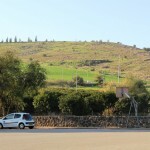 My main reason for visiting the Sea of Galilee was to suss out the historical and biblical sites which were found in the bible stories I had read when I was young. I was happy to visit some these sites, but more importantly, it was interesting to learn about the geopolitics behind the lake, how plans to limit its flow became one of the factors for The Six Day War, and how Israel is relying more on desalination and water reclamation for its water needs today.